A rider heads back to the town. 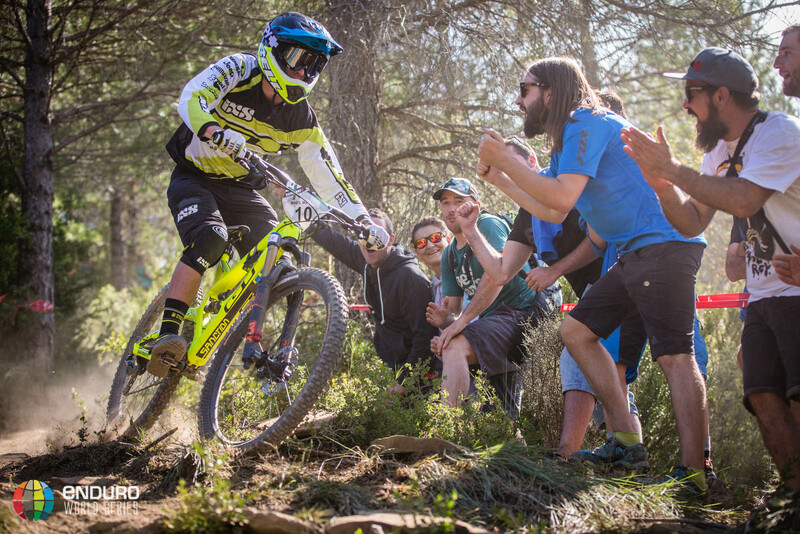 EWS round 7, Ainsa, Spain. Photo by Matt Wragg. 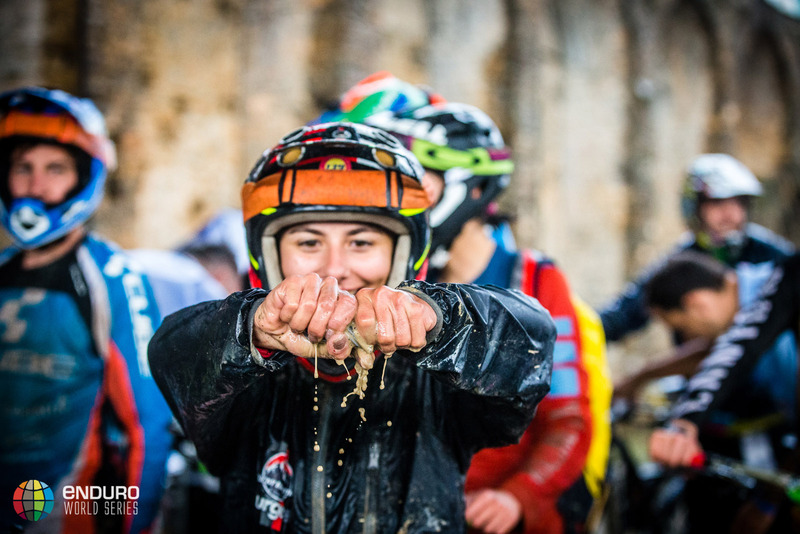 The final stage of round seven of the Enduro World Series in Zona Zero, Spain had to be cancelled after flash floods made it unrideable. The results were taken on the times of riders on stages one to seven leaving Richie Rude and Tracy Moseley to be crowned as victors. Rude and Moseley have both dominated this season and have shared the top step of the last three races. Moseley is now unbeaten in enduro since March. Zona Zero is in the Ainsa region of Spain and provided one and three quarter days of gloriously sunny racing but torrential rain on Sunday afternoon turned stage eight into a river. The prologue stage took place within the walls of the town’s medieval castle and the race stages on the surrounding hills. 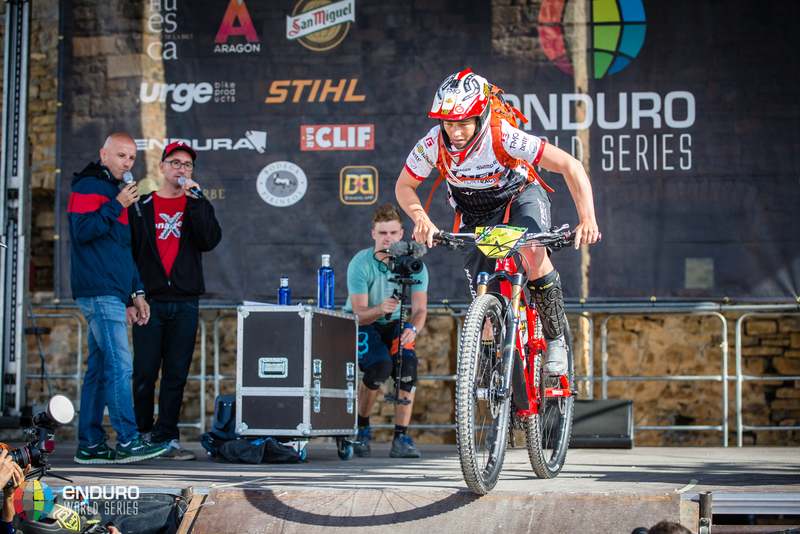 In a race characterised by a crowd as crazy as the trails, it took all of the riders’ focus to keep it rubber side down and claim a good result. 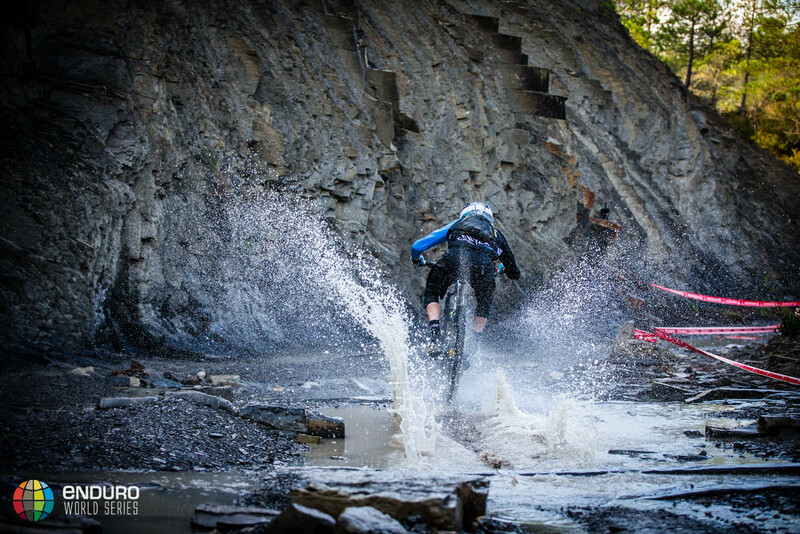 Richie Rude dominated day one taking all four stage wins. He let off the gas on day two, handing victories to Martin Maes, Nico Lau and Jared Graves, but had done enough to finish first by 20 seconds. This is a massive margin when you consider the next five riders were split by only three seconds. In the women’s race, Cecile Ravanel actually won the most stages of the weekend but lost time to Tracy Moseley where it counted and ended up over twenty seconds off the pace in second. Isabeau Cordurier finished one minute back in third. 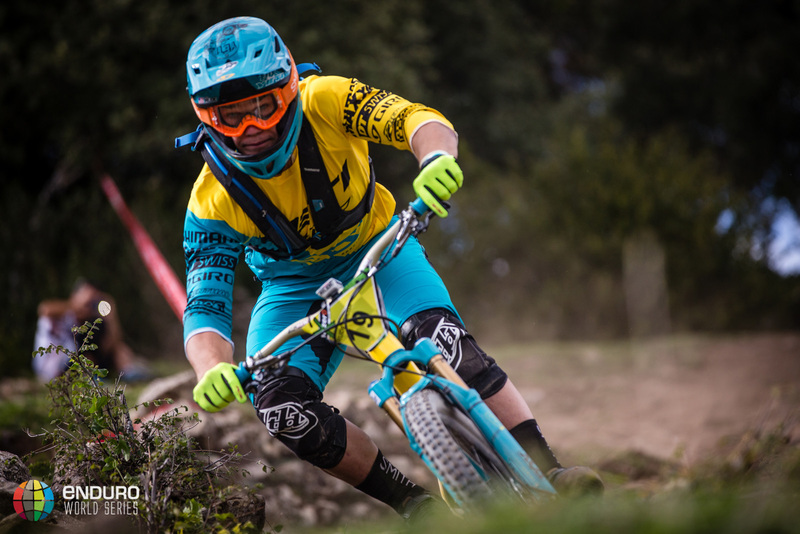 The final round of the EWS is happening this weekend at Finale Ligure. This Italian paradise has now become the traditional climax of the EWS season and the World Champions will be crowned on the beach on Sunday.